All photos by Joey Wharton. Want to plan a spook-tacular Halloween celebration but feel like Oct. 31st is creeping up on you? Don’t be scared, guys and ghouls! 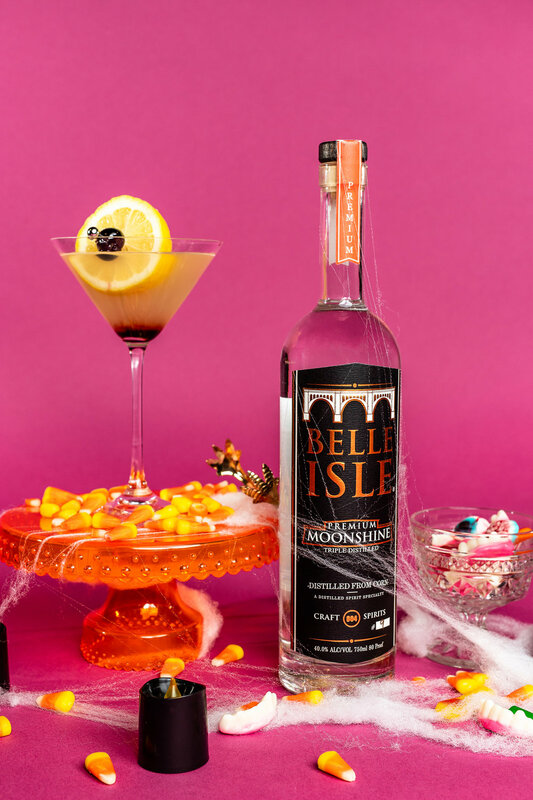 The Good Times Experts here at Belle Isle Moonshine have some frighteningly good cocktail ideas that are sure to bewitch even your pickiest visitor. From creepy spins on the classic cocktails to 90’s TV-inspired bright orange highballs, let us help you plan the perfect cocktail party menu to slay your friends this holiday season. Who loves orange soda? The undead, that’s who. 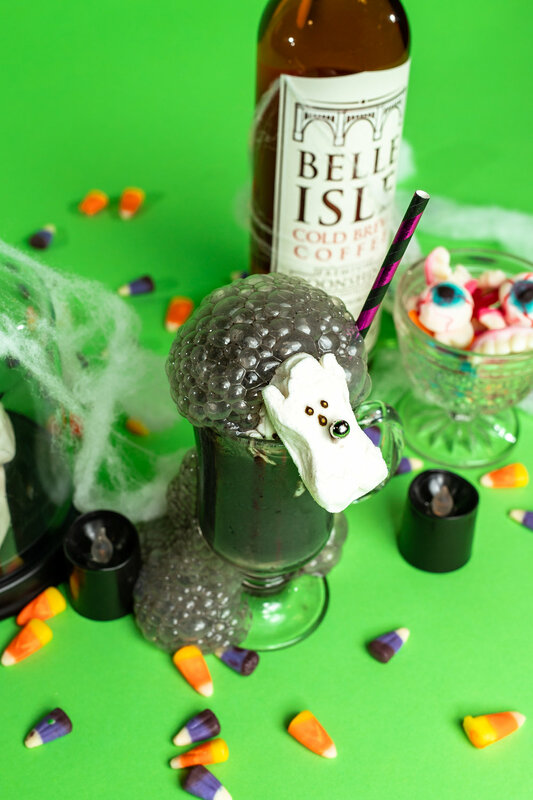 This drink is super easy and fun to look at, just like that illusive perfect Halloween costume you always forget to make in time. 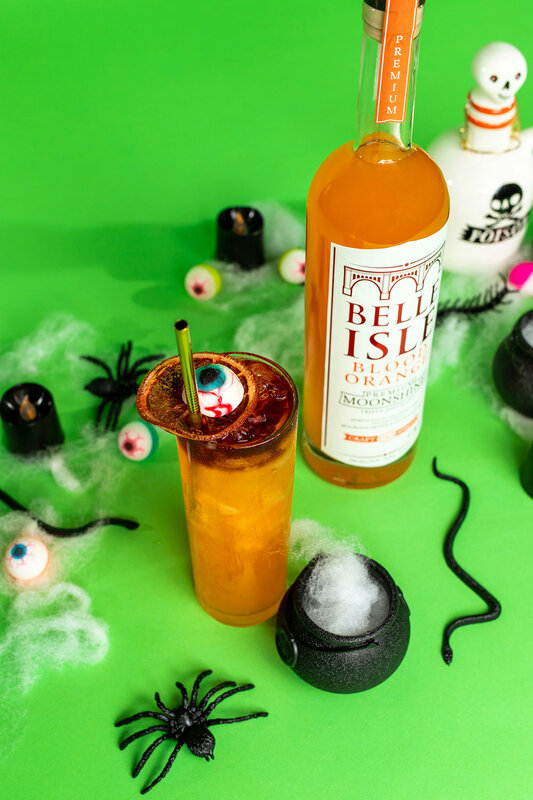 A little spicy, a little fruity, and a whole lotta delicious, this spooky spin on a margarita will put a spell on you. This simple coffee hot chocolate gets a black magic touch from a bit of activated charcoal. This punch is out of its gourd good! Combining the sweet spice of our Honey Habanero with apple cider and pumpkin beer, this brew is the perfect crowd pleaser for all your witchy friends. Add dry ice (carefully–don’t touch!) for a little extra magic. Watch out–we’ve got a live one on our hands! 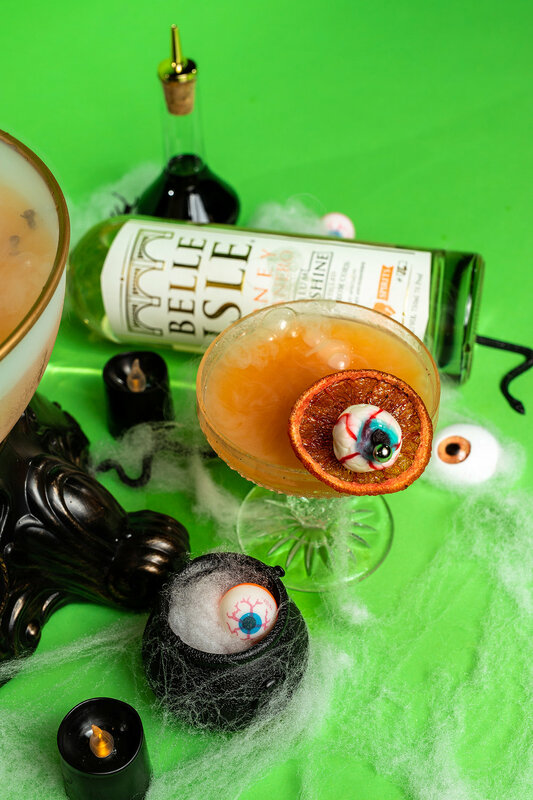 This play on a classic Corpse Reviver #2 cocktail, this drink is equal parts creepy and classy. Want to hear more about Belle Isle?